Do I have to go out? 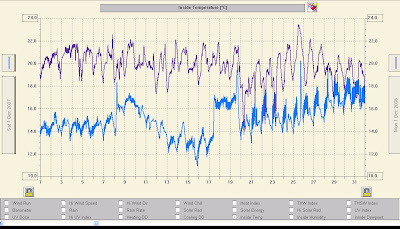 We did turn on the old electric baseboard heater as December 2007 got colder, but even then the study was a couple of degrees colder than it was in 2008. There are clear peaks both year on Christmas Day - evidence of someone toiling over hot pans, perhaps!